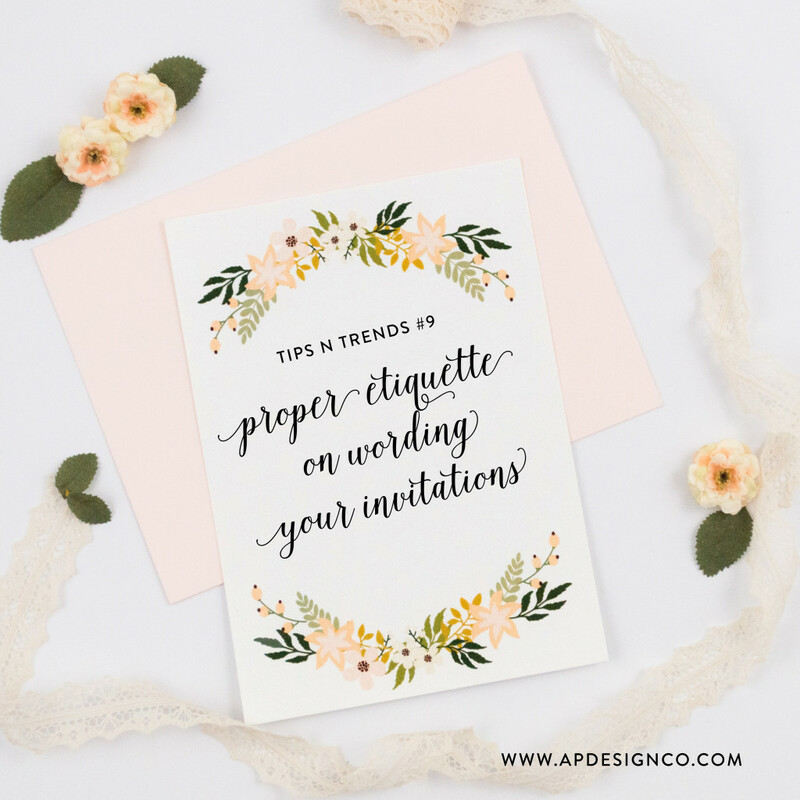 When it comes to the wedding invitation wording a lot of brides are at a standstill trying to figure out what exactly the invitations should say. The process shouldn’t be stressful or complicated. I am here to help walk you through the process. With these simple tips, the process will be smooth. 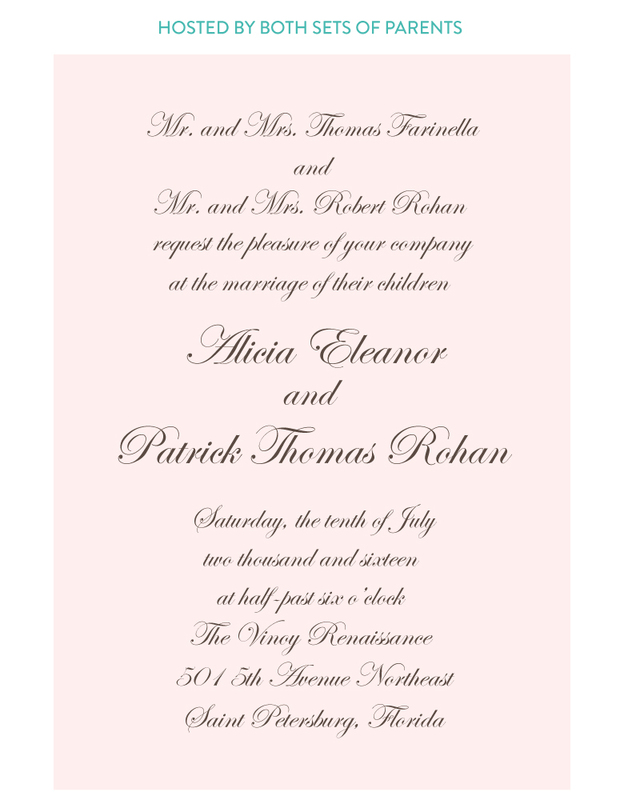 Remember, each piece in your wedding invitation suite has it’s own purpose and communicates a specific set of information your guests need to know. – In all cases the names of the hosts should be listed at the top of the invitation. there is no need for a reception card. At the bottom of the invitation, simply say “Reception to follow,” “Dinner and dancing to follow,” or something to that effect. – Spell it out. For your wedding collection, try not to abbreviate anything. It’s a good idea to spell out state names, street information and middle names. Traditional and/or formal weddings being held IN a church. For more formal and/or traditional weddings being held OUTSIDE of a church. I hope this was helpful! Next week we will be showing you some samples for special situation (ex. widow, military, doctor, etc.) wording ideas. Stay tuned! Let us know if you have any questions in the ‘Comments’ section.